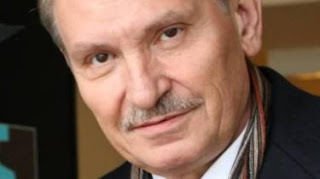 UK police have launched a murder investigation after the death of Russian businessman Nikolai Glushkov in south-west London. Mr Glushkov was found dead at his home in New Malden on 12 March. A post-mortem examination revealed Mr Glushkov, who was 68, died from "compression to the neck". There is, at this stage, no evidence linking the death to the attempted murder of a former Russian spy and his daughter in Salisbury, police say. Detectives are retaining an open mind and are appealing for any information that will assist the investigation. In particular, they are appealing for anyone who may have seen or heard anything suspicious at or near his home in Clarence Avenue, New Malden, between Sunday 11 March and Monday 12 March to contact them. Police on Friday continued to guard the home lived in by Mr Glushkov. A blue and a purple tent was erected to cover the front drive of the property, which has been cordoned off along with several adjoining properties either side. Mr Glushkov is the former deputy director of Russian state airline Aeroflot. He was jailed in 1999 for five years after being charged with money laundering and fraud.